Hello my beauties, it's 6pm on a Tuesday and for the next weeks that could only mean one thing! It's time for my very first The Starting Off Project blog post. If you're reading this as it goes live then you can join in the chat on Twitter by using the #TheSoProject. Today I figure everyone's going to be posting about their favorite skincare brands and what they used when they were just starting off. So (as per) I've decided to post something a little different, giving you some tips on how to keep your skin looking flawless and banish spots for good, some of them won't even cost you a penny! Firstly I think this bit is HUGELY IMPORTANT so please give it a read. Now, I'm going to let you in on a little known secret here. Guess what? Beauty bloggers get spots! I know you may never see them - we're beauty bloggers, we know a thing or two about covering up and taking photos in just the right light - but we do. Everyone does. It's not a bad thing and it's certainly not embarrassing, it's just a fact of life that just makes your teenage years a little more awkward. But you'll live through it! If you think a tip's not for you, feel free to skip it and move onto the next one (I know this is a bit of a long winded post!) to help I have split it into two sections, Skincare Related or Makeup Related Skincare Tips. Or if you want help with finding out your skin type, recommendation on what products to by or want to ask me about anything in at all feel free to get in touch on Twitter or Facebook, or you can e-mail me at charleylucy@live.com (don't worry, all my e-mails are completely confidential if you're a little shy like me!). 1. Wash your face! Now, this may be a blatantly obvious tip but I know that it's a toughie even make-up gurus have problems with. Resist the urge to collapse in bed without making sure that you've washed your face, whether you wear make-up or not, it will keep your skin looking clean and fresh. 3. Use products specifically formulated for your skin. If you have oily skins use oil-free moisturisers and cleansers, whilst those of you who need a little more moisture, reach for rich and nourishing creams that will hydrate your skin throughout the day. 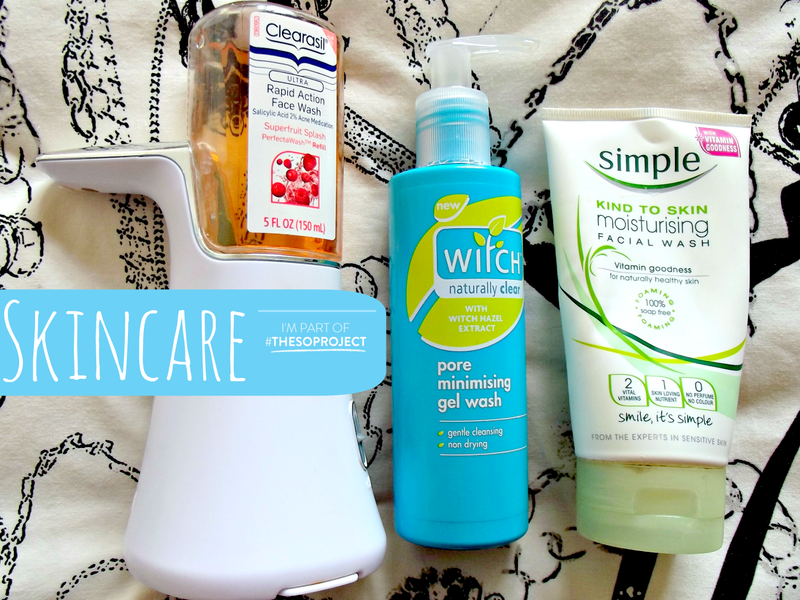 There are great ranges of skincare out there for quite literally any skin type! 4. Try not to touch your face during the day, else you risk transferring the oil and dirt from what you've been touching throughout the day onto your face. This can clog your pores and lead to break outs. My tip to you would be to always wash your hands before touching your face, even in the morning and at night before you think about washing your face always make sure you wash your hands first! 5. If you do break out, leave it! Don't pick, rub, or scratch at it. This will inflame the area and increase redness, making the spot more visible and causing it to take longer to heal. 6. Change your bedding regularly. Bacteria from your face can collect on your pillow case whilst you're asleep, especially if you don't cleanse your skin properly before bed or sleep wearing your makeup. On average you spend 6-8 hours of your day asleep, that's a lot of contact time with your pillow if you don't change your bedding regularly. If you notice breakouts on your cheeks or sides of your face then this simple change could dramatically reduce your amount of imperfections. Don't believe me? Try flipping your pillow over for a few nights and see if it makes a difference! 1. Wash you face twice/double cleanse at night if you wear make up. Washing your face once will just remove the makeup from your skin and washing it again will help to deep clean your pores. I've already written a post all about how Double Cleansing has helped my skin which you can go read. 2. Clean you makeup brushes regularly to reduce the build up of bacteria. If you don't want to fork out on expensive cleansers using a gentle baby shampoo will do the trick just fine, I recommend Johnson's Baby Shampoo 500ml (£1.75 at Boots). 4. Stop using any new product immediately if you find they irritate your skin or break you out. Products that break you out will likely not improve with time and prolonged use is likely to irritate your skin more. You can easily find what's irritating your skin through a process of elimination in your skincare and makeup regime. 5. If you have spot prone skin, get some extra help with brands like Clearasil, Freederm and Witch who all have make-up ranges available that treat the spot as well as covering it up - instead of clogging it up! Miss Sporty also do a great So Clear range that are super affordable! If you have any questions or requests at all (no matter how silly you think they might be) please do get in touch! I read and reply to all your comments, e-mails, tweets and wall posts and will try my very best to reply to you within the next day!